Every parent is winging it, but it's important to not get caught up in outdated ideas of what it means to be a dad. Becoming a father was exhilarating, exciting, scary — all those things everybody tells you you'll feel about bringing a life into the world. But at the end of the day, it was just beautiful. Growing up without a father, though, I was particularly worried that, once I became a parent, I wouldn't know how to provide structure. Granted, all parents are winging it, because every child and every family is a unique experience, but I did have concerns that I was winging it more than anyone else. So, I tried to prep myself as much as I could before my kids arrived. But what I realized is that, even if you have both parents in the house when you are growing up, once you become one yourself, it's still completely different because it's your child. If you're active and you're present, then you're aware of what is going on in your child's life and you can nurture that bond that fathers have with their kids. The main thing that makes for a good parent, in my opinion, is to be active and to be present in your child's life. If you're active and you're present, then you're aware of what is going on in your child's life and you can nurture that bond that fathers have with their kids. I was very affectionate with my kids — all three of them. It's particularly important when they're infants because the bonds starts there. The fatherly bond is a really unique thing; we've accepted the notion of a maternal bond, but there's one between fathers and their children, too. It's hard to put it into words, but there is definitely a feeling of protection, feeling that you need to be able catch your child before they fall, to defend them against the world. I think that it's really cool that it's a thing now for men to have skin-to-skin contact with their infants the way that mothers do, and that men are doing it, because you can create a forever-bond that way. Especially when you look at the history of father-son relationships, where there is this historical male bravado of not showing affection to one another, it's so important not to get caught up in that. I kiss my son on the forehead, you know, that sort of thing that I wouldn't think twice about doing with my daughter. I'm a big proponent of parents talking things through with their kids so that the children understand what's expected of them. In my home, we joke that my wife was the disciplinarian but, really, we split the disciplinarian duties. And we tried, even when we had to engage with discipline, to talk through things with our children so they learned where the mistake was, not just that they were punished for it. To me, if you make a mistake once, there's a lesson there; if you make a mistake twice, then it's really a mistake. I'm a big proponent of parents talking things through with their kids so that the children understand what's expected of them and their actions after are not just a robotic response to punishment. And we try to connect with them as friends too. Part of the relationship is always going to be parent-child, but in terms of helping them navigate the nuances of their relationships or certain things with school, there are no hard and fast rules to teach them. So with my wife and I, when they mess up or they're stumbling in the wrong way, we start with having a conversation, to help guide them with our wisdom rather than punish them or yell at them from a place of knowing better than they do. I like to say that parenthood happens like life, in 10-year, five-year phases. Parenthood is the same way because one day your kid's three, and then they're 21 and they can legally drink. You're the same parent, but your relationship and your child will necessarily change, and the best thing you can have done is to have built a bond from day one that can survive those changes. 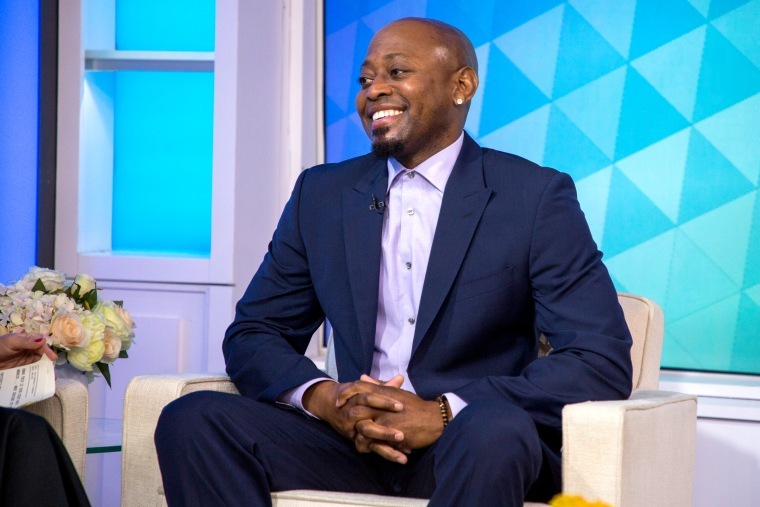 Omar Epps is an actor, entrepreneur, the president of BrooklynWorks Films and the author of "From Fatherless to Fatherhood."